Missing: Samarth, Sunakshi, and Alton. Our lab focuses on developing quantitative imaging biomarkers for cancer and other diseases using advanced imaging techniques and machine learning methods. We are comprised of computer science researchers, medical physicists, neuro-oncologists, and MRI technicians, and we are always looking to collaborate with experts outside of our field. We have recently worked to apply deep learning methods to a variety of diseases, and our goal is to unite the cutting edges of machine learning, medical oncology, and image analysis into practical clinical applications. 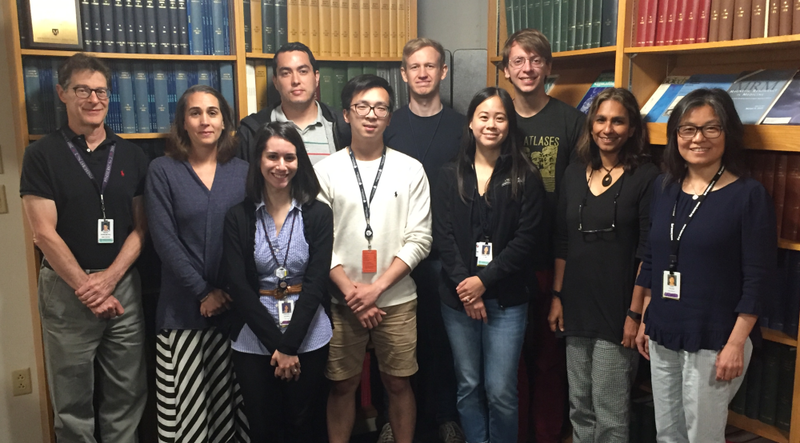 Read about our lab members on the People tab. Learn more about our specific research topics on the Research tab. See our recent publications on the Publications tab, job openings on the Jobs tab, and find a way to get in touch on the Contact tab. Last but not least, check the Fun tab to see some pictures of our lab members doing what we do best.